Come Celebrate! May 13th	50th Anniversary of Oregon’s Beach Bottle Bill & Mom’s Day! 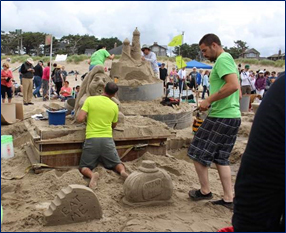 Cannon Beach kicks off Oregon’s celebration of the 50th anniversary of the signing of the Beach Bill on May 13 with a series of events for the entire family! 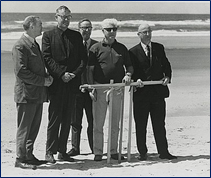 The Beach Bill was the landmark legislation passed by the Oregon Legislature in 1967 assuring that all of Oregon’s beaches would remain public. A full day of activities are planned for Saturday, May 13th! Cannon Beach’ s Haystack Rock Awareness Program will offer tide pool interpretive information on the beach including spotting scopes to view nesting Tufted Puffins and other seabirds on Haystack Rock. Thanks to the Beach Bill, the State of Oregon has what is considered the best legal protection for the public’s use of and access to its coastal land. 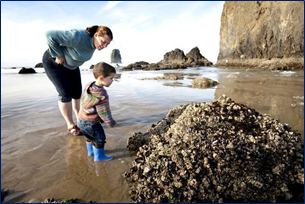 This historic date in Oregon history coincides with this year’s Mother’s Day, an always-popular weekend in Cannon Beach, so plan now to celebrate mom and Oregon’s public beaches. The Beach is Good for your Brain! Experiencing refreshing “blue space” at the beach is like hitting a reset button for your brain. Partly Cloudy, partly sunny! That’s an encouraging weekend weather forecast for guests of the Tolovana Inn this upcoming Easter weekend. 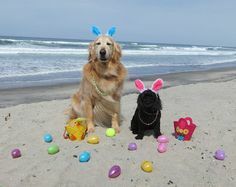 Make your plans to spend the weekend in Cannon Beach and enjoy your Easter traditions on the coast! BYOB. That’s bring you own basket to the annual Easter egg hunt Saturday at the Sea Ranch RV Park Resort at 11 a.m. Children must be accompanied by an adult and will be divided into three age groups: 1-4 years-old; 5-7 years-old and 8-10 years-old. There’s a good chance you’ll see real bunnies hopping around resort. Hundreds of eggs hidden will be hidden on the grounds, with special prizes for kids who find special golden eggs. This year, the traditional 6:30 Easter Sunrise Service will be held on the Beach and not at Ecola State Park. Recent closures and dangerous roads prompted the relocation. All are welcome to join members of the Cannon Beach Community Church for the special outdoor service which will take place in “the dunes” at the corner of Ocean and West Washington Street (one block west of the church.). In case of heavy rains or winds, the service will be moved into the Community Church Sanctuary. The Cannon Beach Community Church also has a contemporary worship service in the church at 9:00am and a traditional service at 10:45am. Other Easter Sunday services in the community are at the Cannon Beach Bible Church at 10.45am and Mass at St. Peter the Fisherman Catholic Church in Arch Cape 9:00am Easter morning. So hop over to Tolovana Inn to make Easter memories! Whale Watching Week & Spring Break! Bring your binoculars and be awed by one of the many natural wonders of Oregon. While whales are visible from Oregon’s shores all year long there are two designated weeks when the viewing is better than ever, one in winter, and one now, March 24-31. Hundreds of whales can be spotted swimming along the coastline each day. That’s because the great migration of 20,000 gray whales is underway as the huge mammals head back up the coast to Alaska, after spending winter living large in the warm lagoons off Baja California, where many of the females have given birth. With there youngsters swimming along, the grey whales are returning home. While the first surge of grey whales is moving north now, others will follow all the way through June. The best viewing is from up high at Ecola State Park in Cannon Beach and from Neahkahnie Mountain by Manzanita, both places where trained volunteers from Whalespoken.org will be on site to help visitors spot the impressive mammals. In 1984, Oregon became the first location in the world to host a coast-wide volunteer beach clean-up. Now 33 years later, this clean-up model continues, and most importantly, has spread across the nation and to nearly 100 countries. You can do your part to help keep the magical Cannon Beach coastline pristine by pitching in during the Spring Beach Clean-up sponsored by SOLVE on April 1. It’s the second weekend of spring break for many Oregon school kids, and a great way to get them involved in community service. There’s no age minimum and you can even bring your dog along–on a leash. Volunteers are encouraged to register in advance and meet at Cannon Beach City Hall starting at 9:00am, before being dispatched to help clean up the beaches from Ecola Park to the Tolovana Wayside, and as far south as Arch Cape. SOLVE will provide bags and gloves, but would prefer volunteers bring their own reusable garden gloves. Volunteers are also encouraged to bring their own reusable bucket/bag and reusable water bottles to help reduce plastic waste. Volunteers can also use an old colander or kitty litter scoop to sift the sand for tiny bits of plastics and cigarette butts, both of which are extremely harmful to shorebirds and marine life. Over the past three decades more than 126,000 Beach & Riverside Cleanup volunteers have removed 820 tons of litter from Oregon’s beaches, neighborhoods, parks and waterways. Guests of Tolovana Inn who volunteer for the Solve clean-up will be eligible for a weekend discount. Ask about the special pricing when you call for reservations. Tolovana Inn appreciates the efforts of all SOLVE volunteers, especially the efforts of Cannon Beach clean-up coordinator and local resident, Jenee Pearce-Mushen. Hauling, disposal and recycling services donated by Recology Western Oregon. 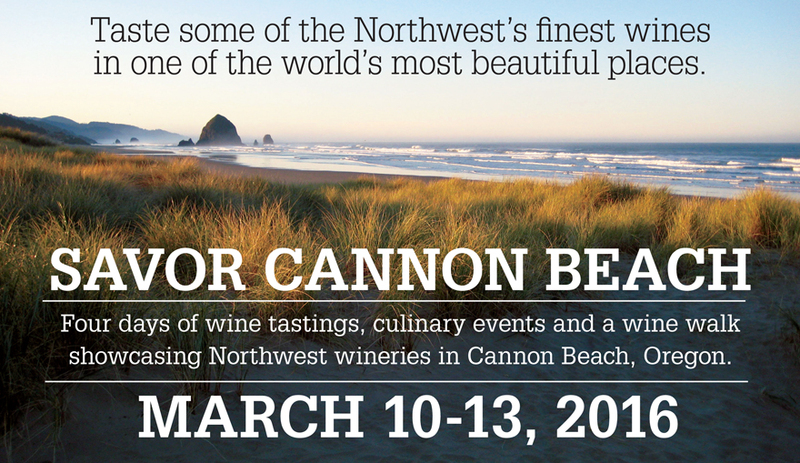 Calling all wine lovers and foodies: Tickets are still available for Savor Cannon Beach, but are going fast! The incredible Savor Cannon Beach Wine & Culinary Festival offers a four-day lineup of wine, food and arts events in ever-enchanting Cannon Beach. The Tolovana Inn is proud to be an event sponsor. Most of the wine tasting events are intimate and are limited to less than 150 participants. However, the largest festival event is the Saturday wine walk. You can join wandering wine tasters sampling 40 Northwest winery offerings throughout Cannon Beach at charming art galleries, restaurants and retail shops. Individual tickets to festival events are $20-40 each and a full Festival Pass good for admission to all festival tasting events is also available for $195. Be sure you book your ocean front room or suite at the Tolovana Inn, too. And, ask about the Stay 3 Nights for 2 special room discount, valid now through March 23, 2017. You’ll taste 12 award-winning wines representing different wine growing regions of Oregon and Washington and vote for the top wines of the evening. Northwest wineries have agreed to open up their cellars and share three special wines. Offerings will include library wines, verticals, horizontals or reserve wines. Learn to taste wine like a professional. You’ll learn the basics of wine tasting, wine terminology and etiquette. Request no fragrances be worn. You’ll taste 12 Gold Medal winning wines from the SavorNW Wine Awards selected the previous week by some of the top wine judges on the West Coast. This event will also feature the Battle of the Bites with “bites” prepared by Cannon Beach chefs and restaurants; and your vote will determine the winner. 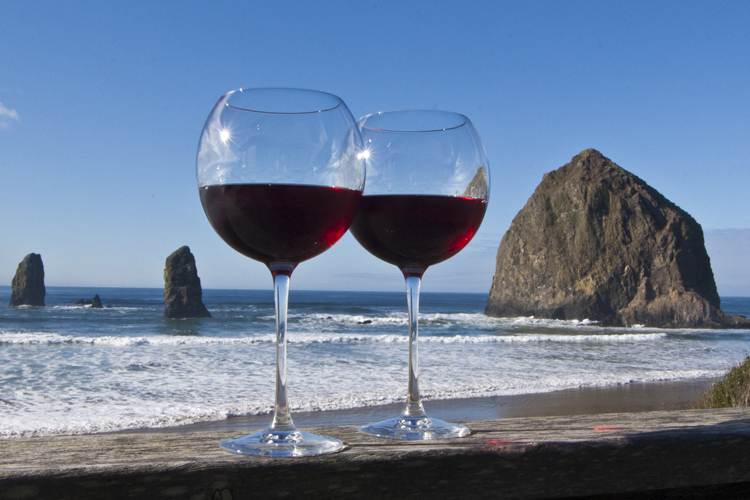 Savor Cannon Beach Wine & Culinary Festival offers a four-day lineup of wine, culinary and arts events, March 9-12, in one of the Pacific Northwest’s most popular destinations: Cannon Beach, Oregon. Savor is a fun way to taste and appreciate a wide variety of Northwest wines and the Tolovana Inn is proud to be the site of several key festival events. Most of the wine tasting events are intimate and limited to no more than 150 participants. The largest event of the festival is the Saturday afternoon Wine Walk where 40 Northwest wineries will be pouring tastings at Cannon Beach galleries, restaurants and retail shops. The following festival events will take place at Tolovana Inn. Individual tickets to festival events are $20-40 each and a full Festival Pass good for admission to all festival tasting events is also available for $195. Advance purchase is recommended as events are limited in size and often sell out. Call Tolovana Inn for room reservations soon. And, be sure to ask about the Stay 3 Nights for 2 Room special room discount, valid now through March 23, 2017. Whales, Wine, Yoga & Deals: 4 Tempting Reasons for a 1st Qtr. Tolovana Stay. Sure, you might need to bundle up a bit, but don’t let that slow you down from visiting Cannon Beach during the first quarter of 2017. Besides the unfailing appeal of the Oregon coast, with its natural wonders and special events, Tolovana Inn room rates are especially inviting this time of year. Now through March 23, if you stay two nights, you can enjoy a third night free. Rooms are limited and some restrictions may apply. Call 1-800-333-8890. 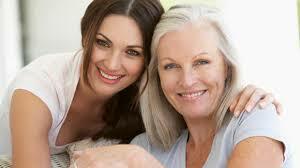 So, besides great rates, here are some other things to consider. Gray whales head south from their feeding grounds in the Bering and Chukchi seas around Alaska from mid-December through January traveling to breeding grounds in Baja California, Mexico, where warm-water lagoons become nurseries for expectant mothers. On the trip down, these giant mammals swim on a direct course, move quickly, and mostly stay about 5 miles offshore. At their peak, about 30 whales pass by each hour. Then from late March to June, the whales migrate north back to Alaska. On each trip, approximately 18,000 gray whales will pass close to the Oregon Coast. Ecola State Park provides a great vantage point for whale sightings. In morning light with the sun at your back is best. First locate whale spouts with your naked eye; then focus more closely with binoculars. Coming back, the whales travel much more leisurely and stay closer to shore—within a half mile is not unusual. The non-breeding males and females lead the way back with some early birds starting in late February. Mothers and young calves generally roll by starting in May. World Class Instruction in a World Class location. That’s the three-day Cannon Beach Yoga Festival. No matter what your level of experience, this is a wonderful opportunity to explore something new, as well as deepen your practice. Enjoy workshops, daily morning meditations, a community dance party and more. Everything you need to know, including a detailed FAQ can be found here. Cannon Beach Yoga Festival. It’s a wine and culinary event you won’t want to miss this. The festival includes wine tastings, wine dinners and a wine walk throughout the town from over 20 Northwest wineries. Tickets are now available and its usually a sell-out event. Tolovana Inn is proud to be a sponsor and host site for this incredible favorite foodie event! 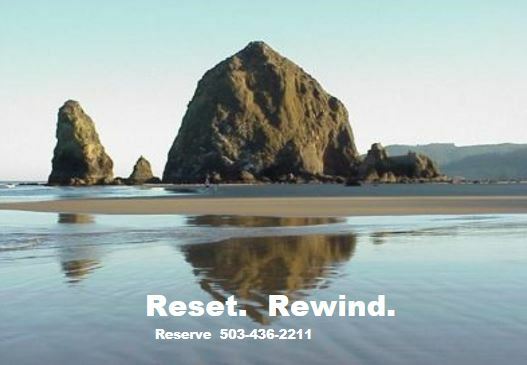 Make 2017 the year you experience something new in Cannon Beach, staying at the ever comfortable ocean front Tolovana Inn. Haystack Holiday Events Make the Season Bright! 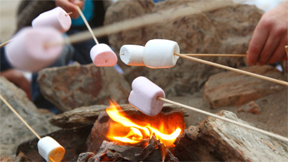 Haystack Holidays is a collection of delightful special events in Cannon Beach, each providing seasonal fun for all ages. Make your holiday season bright! Here’s a few ways to get in the mood! Santa Claus is coming to town. Come support the Cannon Beach Library and get your picture with Santa. Located at the Cannon Beach Library, Saturday December 10th at 1 to 4PM. For information please call (503) 436-2623. Ho Ho Ho! Just when you’ve had enough traditional turkey and ham, nine Cannon Beach restaurants come to the rescue, providing unique menu and beverage specials for the last week of the year. You can dine on traditional foods from Poland, Spain, Germany, Italy, France, Thailand and more at locations all around town. Special menus are complemented with great wine and beers. Make plans and reservations today! Click for menu details. Catch a holiday performance at the Coaster Theatre Playhouse. 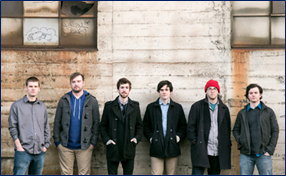 This year, from November 18 through December 23, the theater presents an adaptation of the 1940s Frank Capra classic Christmas movie “It’s a Wonderful Life.” Then at the Playhouse on December 28, the premier a cappella crooners, The Coats, come perform a laugh-filled holiday concert. T he WOW weekend is full of fabulous food, divine wine and sensational shopping as Cannon Beach’s distinctive retailers make this special gals-only weekend delightful. Of course, guys are always welcome too. But if cruising about with the gals isn’t your idea of fun, you can always do some trekking around the great outdoors or a little TV binge watching near the fireplace. 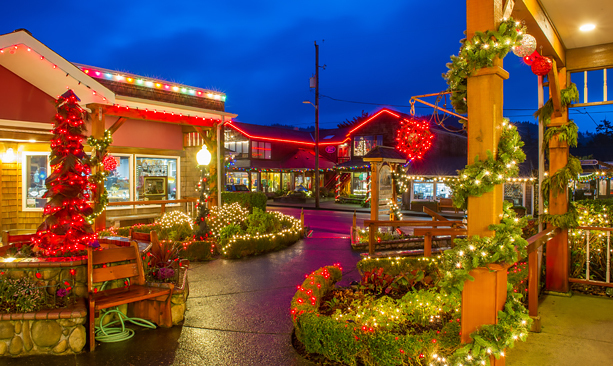 Before the hectic holidays get underway, plan a stay at Tolovana Inn in Cannon Beach! Gray Whale Watching & Oregon Spring Break! Haystack Holidays in Cannon Beach: The Spirit of the Season! Sunny Forecast for Cannon Beach & Special Fall Rates!